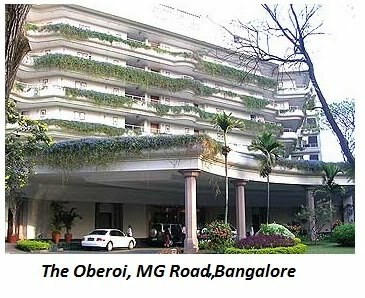 Biker Friendly Places in Bangalore - GGI-Group size: 4000+ Professionals, Increasing on day to day basis, Come & join us 2 serve Mother Nature. 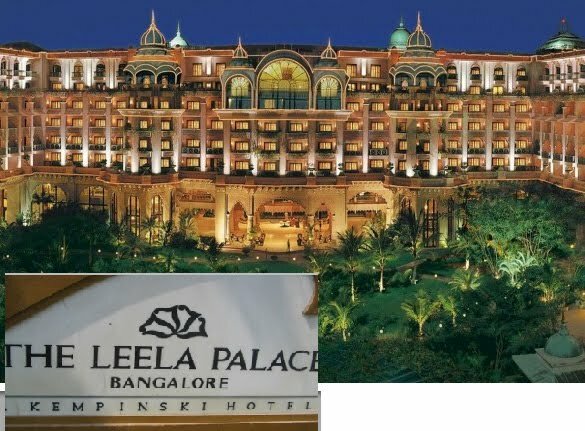 After few request, Leela Palalce has come up with a facality for Bicycle parking, Leela Palace would be the first star hotel for honnering our request and installing a nice Bicycle parking place, This parking place is located on their 2nd entrance which is opposite to Manipal Hospital..
We from GoGreen Group, would like to thank the managment of Leela palace and Mr. Kushallappa for recognising our efforts, accepting our request and also joing us in promoting Cycling in the city. Parking space : 10 Bicycles. parking area. way to Go. 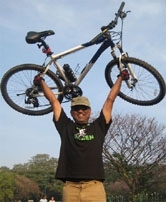 This snap was taken on 18Mar2011 by GoGreen Rao. 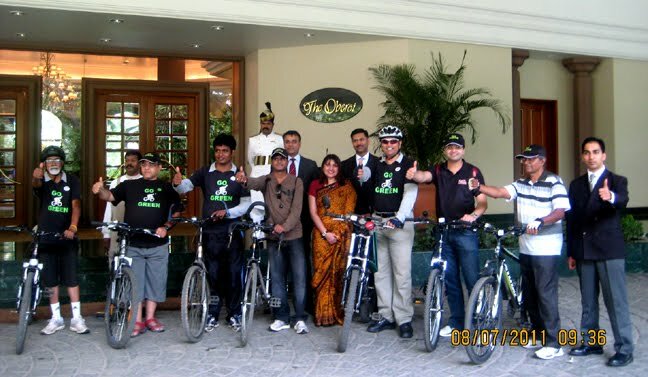 08July 2011, Was a special invite day for our GoGreen Group while one more 5 Star Hotel invited GoGreen Rao & the group for inagurating a Bicycle stand in their Hotel premises. 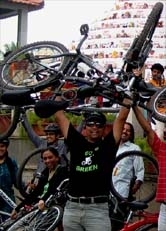 GoGreen Rao while attending one of a CIO meet @ this hotel had showcased about their groups effort in promoting Cycling in the city, in line with this, had requested Leela Palace for a bicycle pa.rking. Hotel managment appreciated the request and within 15 days of time they not only arranged the bicycle parking place but also invited the group to come and inugrate the same. It was a pleasent surprise to the all the group members the way they were treated while they dropped by the hotel. 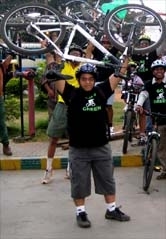 On behalf of GoGreen Group, GoGreen Rao, Thank Ms Pinky & the concern staff members for all the arrangments. This clearly show cases hotels willingness & encouragment in restoring Green in the city.. Parking Space : 8 Bicycles.